What is Quality, and what do I need to know? Quality affects the size of the plant and the value of the buds sold. Level 10 is twice the value as level 1, Level 20 is three times the value. 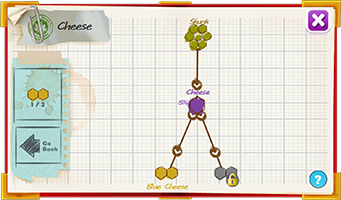 Different products such as butter and chocolate require a quality level with a minimum quality level in order to create them. 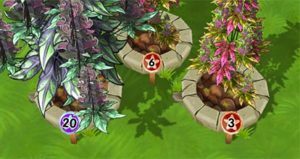 How do I grow plants of higher quality? Each time a seed is created, its quality is an average of the parents, when planted the quality can go up or down multiple times. The odds of quality increases or decreasing varies at different quality levels. 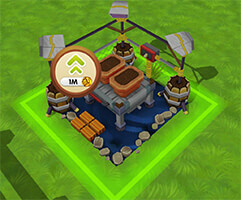 Choose plants of the highest quality when breeding to make seeds, the rest is based on odds. 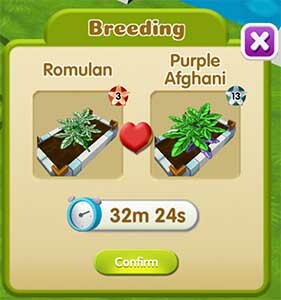 How do I breed two plants together? 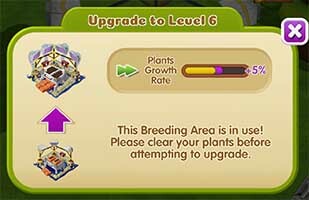 Click on a breeding area then select two plants from the greenhouse. 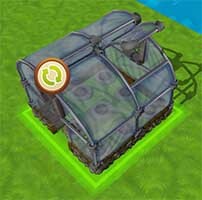 Drag and drop the plants from the Greenhouse onto the Breeding menu on an open slot. 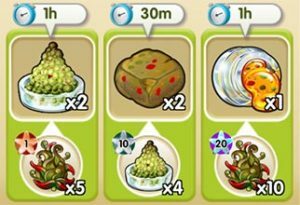 Can I increase the amount of seeds I get from breeding? No you can only reduce the growing and breeding times of the plants by upgrading the Greenhouse, Bud Sites and Breeding Areas. 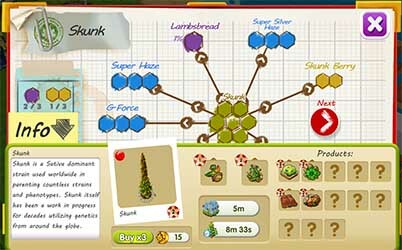 How do I upgrade a building? Tap and hold your finger on the building for 2 seconds until the buildings menu comes up. 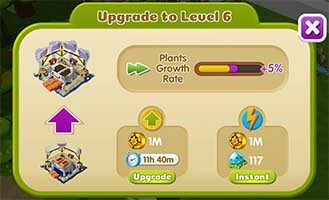 From here the upgrade button is visible, if you are high enough level and have enough coins you can start the upgrade. 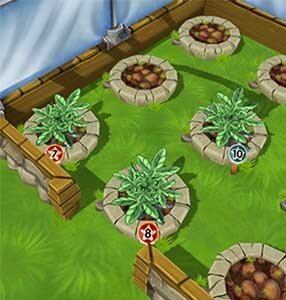 The Greenhouse, Breeding Areas and Bud Sites need to be empty in order to start the upgrade. Why can I not upgrade all the buildings? Not all buildings have upgrades yet. The Greenhouse, Breeding Areas and Bud Sites need to be empty first. How do I move buildings around? Click and hold on the building until the buildings menu comes up, then click the move button. You can now drag the building. How do I know which products I have made so far for each strain? Open the Collection book and click on the Info button in the bottom left corner to see which products were produced, their quality values and their price points. Sometimes when I plant a seed it becomes another strain. Why does this happen? There is a small chance (variable) that a plant mutates when its planted. This is called a Phenotype. Different strains have different phenotypes and the chance of getting one of these is quite rare. Some of them are as low as 2%, that is only 2 in 100 will mutate to that strain.